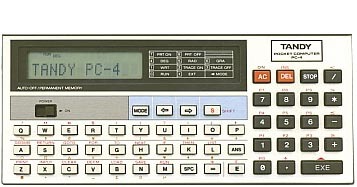 The Tandy PC-4 Was a rebadged version of the Casio PB-100. Apart from the brand/model plate, the design and features was identical to the original Casio model. see more Tandy Radio Shack TRS 80 PC-4 Ebay auctions !